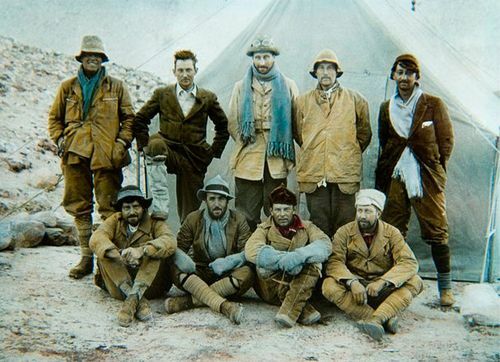 The 1924 British Expedition to Mount Everest has always been shrouded in mystery – did Sandy Irvine, aged only 22, and George Mallory make it to the summit, 30 years before Hillary and Tenzing? Both men disappeared high on the mountain’s north-east ridge, only a short distance from the top, and perished in their attempt – Mallory’s body was discovered in 1999, but Irvine’s has never been found. What made Julie Summers’s compelling and moving talk on November 21st even more poignant was that Sandy Irvine was her great-uncle and his courage and determination have played a major part in her family’s history. Letters home from Sandy, long thought to be lost, later turned up in a wooden chest, adding an extra melancholic aspect to the entire story. From an early age, Julie told us, Sandy showed a natural aptitude for engineering and - as a teenager during World War I – even sent the War Office the design for an interrupter gear, which allowed a machine-gun to fire from an aircraft without damaging the propeller blades. In addition to these engineering skills, Sandy was also a talented rower at Shrewsbury School, with his prowess in evidence at the 1919 Henley Regatta. Despite an initial rejection by Magdalen College, Oxford, he later won at place at Merton College to read engineering, also winning two Blues for rowing – including one in the victorious 1923 boat, the only time Oxford won between 1913 and 1937. Making the victory even more vivid, Julie showed us a Pathe newsreel of the race, with a smiling Sandy carrying the boat and 250,000 people flocking to the Thames. Sandy also joined the University Mountaineering Club and, in 1923, was a member of the Merton College Arctic Expedition to Spitsbergen, where he impressed all around him. Ironically, Julie said, Sandy discovered that he and the expedition's leader, Noel Odell, had met before in 1919 on Foel Grach, a 3,000-feet Welsh mountain, when Sandy, a true adventurer, had ridden his motorcycle to the top - and surprised Odell and his wife Mona, who had climbed it on foot. 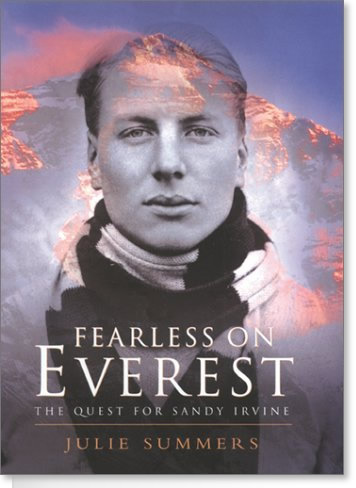 Later, on Odell's recommendation, Sandy was invited to join the Third British Everest Expedition because of his natural talents, although he was still only a 21-year-old undergraduate. 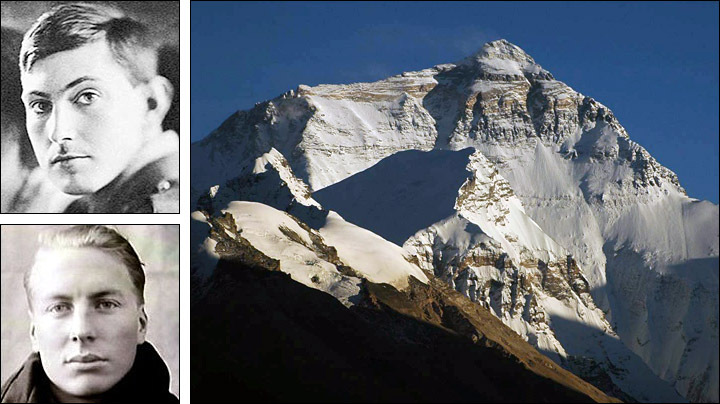 Sandy set sail for the Himalayas on board the SS California on 29th February 1924, along with three other members of the expedition, including George Mallory.. During the expedition, he demonstrated his engineering skills and made innovations to the oxygen apparatus, improving its lightness, strength and practicality. He also maintained the expedition's cameras, camp beds, primus stoves and many other instruments - and Julie told us he was popular with his older colleagues for his ingenuity and hard work. The expedition made two unsuccessful attempts on the summit in early June, but there was time for one just more ascent before heavy snowfall, resulting from the summer monsoon, which would make climbing too dangerous. This last attempt was given to George Mallory, the most experienced climber and – to widespread surprise – he chose Sandy over the more seasoned climber, Noel Odell. His expertise with the oxygen equipment is thought to have been a major factor. Sandy and Mallory began their ascent on June 6th, and by the end of the next day, the pair had established a final two-man camp at 26,800 ft, from where they would make their final push for the summit. They set out again on June 8th and Noel Odell reported seeing them climbing what he believed was the Second Step of the northeast ridge and seemingly "going strongly for the top". Of course, it has never been established whether Sandy and Mallory reached the summit, but they never returned to high camp and died somewhere on the mountain. In 1933, nine years after the pair’s disappearance, Percy Wyn-Harris, a member of the Fourth British Everest Expedition, discovered an ice-axe at around 27,760 ft. The Swiss manufacturer's name matched those of a number supplied to the 1924 expedition, and since only Sandy and Mallory had climbed that high along the ridge route, it is likely to have belonged to one of them. Later, said Julie, a distinctive triple-nick mark on a military swagger stick, found among Sandy’s possessions, matched a similar mark on an ice-axe's shaft found in 1963, making it likely that the ice-axe belonged to Sandy. Mallory's body was found in May 1999 at 26,760 ft, with the remains of a rope still wrapped around his waist. There were signs of serious hemorrhaging, indicative of a strong rope-jerk injury, and suggesting that, at some point, either Sandy or Mallory fell whilst still roped together. A search of the body revealed two pieces of circumstantial evidence that suggested that Mallory might have reached the summit: Firstly, Mallory's daughter always said that her father carried a photograph of his wife, with the intention of leaving it on the summit, and no photograph was found on the body. Given the excellent state of preservation of the body, some think the absence of the photograph suggests it may have been left on the top, although Julie had reservations. Also, no trace has been found of either of the two Vest Pocket Kodak cameras the pair were known to be carrying.. Experts from Kodak claim that, if a camera were found, there is a good chance the film could be developed, due to it having been frozen for over three-quarters of a century. Such images would possibly shed light on whether the two men reached the top – but, again, Julie said the evidence is far from conclusive. She told us there was huge national interest in the deaths of Sandy and Mallory, with newspapers carrying the story on the front page – and King George V also expressed his deep sadness at their loss. At the end of her captivating talk, Julie declined to express an opinion on whether the pair were the first to climb to the top of the world. “I’ll leave it to you all to decide,” she said. 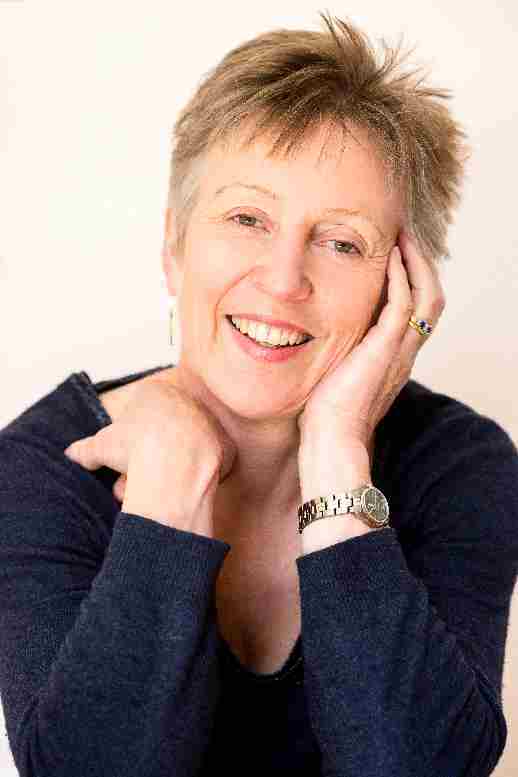 Over 100 people attended Julie’s talk and she sold over 20 copies of both her book on Sandy Irvine, called Fearless on Everest, as well as Jambusters – the story of the WI during the Second World War, which is the basis of a major ITV drama, due to be screened in the spring.